KidznSnow :: Winter Family Travel & Adventure including kid's winter gear for skiing, snowboarding, cross country skiing and sledding. We're all about winter family travel, fun, and adventure. Skiing, snowboarding, sledding, you name it - we're on it! Winter family travel opportunities abound. "Ollie in" for updated articles, gear, travel packages, resort information and specialty products in our KidzStore. Flashpoints:Boots on the ground! We are SLIDING! Get out there! Where to? We've got suggestions - check out our destination section. Got gear? Check out our KidzGear section for what's HOT in gear. Join our RIPPIN' RIDERS TEAM for those in the know. Family Value Vacations! What is value? Here are our choices for memorable family adventures. Non-Ski Fun: What can you do off the slopes for wintertime fun and adventure? 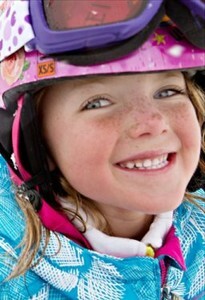 Ski Camps: Keep 'em skiing & riding all year! Small Resorts: Why they rock! Spring Break: Big White Kids Stay Ski Free.. Ski Vermont... and save a buck! Jr. Instructor Programs: Get a job! Summer Ski Camps : Ski or ride all year! Snow Play: New ideas & old-fashioned fun! RR Preview: Airboard: Check out this hot new all mountain body-board! Gear Trends: What's the buzz on junior gear? Skis: Buy hot gear online! Snow Boots: Get out & play! Take a look, then order online! Camo helmet - on sale! Cozee Critters: Fleecy faces & more..